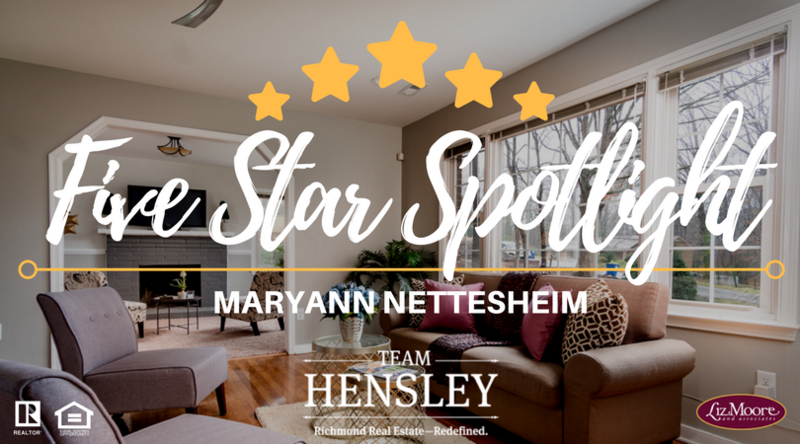 For the last six years, Maryann Nettesheim has been an integral team member of Team Hensley Real Estate. She is a phenomenal Realtor® because of her extensive experience, compassionate heart, and the thorough service she gives every client. We had the privilege of sitting down with Maryann and asking her some questions earlier this week so you all can learn more about her and her Real Estate career. TH: What were you doing before Real Estate? M: So I used to teach third grade, I was a third grade teacher in Cincinatti for five years. Then I got pregnant and decided to stay home because unfortunately, my salary wouldn't cover the cost of daycare. I was a stay-at-home Mom for six years which about drove me crazy too because I need to be around people, like adult people! haha! So that was tough but I would do it all over again for my kids. When they started school, I became a preschool teacher. I actually had one of my sons in my preschool class and did that for a couple years and decided I couldn't do it anymore. The kids were too young and I didn't have the patience so then I started substitute teaching in the elementary schools. After spending so many years away, coming back I realized it had changed too much so I decided teaching wasn't for me anymore. TH: Why did you decide to become a Realtor®? M: I was looking for something that would work around my boys' schedule. When we moved from Cincinatti to Richmond, I was very involved in the process. My husband was already living in Richmond so I was pretty much selling the house in Cincinatti on my own. I started working really closely with my Realtor® and learning all about the process, which I was fascinated with. When we moved to Richmond, our close friend was a Realtor® here, an older gentleman and friend of the family. He took me under his wing and told me, "You know, you'd be pretty good at this!". It wasn't something I had thought about before, but he told me I could work around the kids schedules so I decided to go for it. I took the test and the rest is history! People thought I was crazy - it was 2009 and the market was not great because of the crash. But, I learned how to be scrappy because I needed too which is helpful now. So it all worked out! 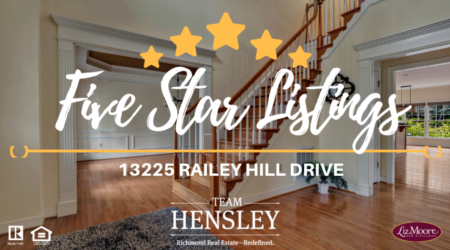 TH: How would you describe your last 9 years as a Realtor® in the Richmond Market? M: It definitely has had it's ups and downs! Like I said, I started out when it was slow, which was good because I was able to learn from good people. A lot of good Realtors® mentored me at the company I was with. I was fortunate my brokers had time to sit with me. Quickly, through the referrals and the market starting to pick up, I went from the slow time to the busy time. Richmond has grown tremendously in the last nine years which is exciting. So many business are coming here and that has helped our economy a lot. Hopefully that will continue! Seeing the market strong again is definitely positive for all of us. 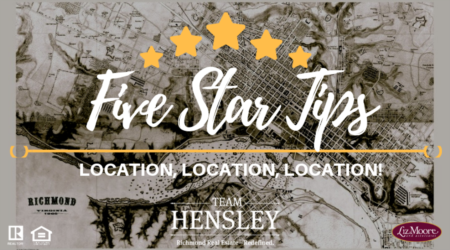 TH: What are some of your favorite things to do in Richmond that you think are "must-sees" for new residents? M: Well I'm a jam-band, bluegrass junkie so The National is my favorite place to hangout! I'd say if there is anybody moving here who is into seeing live bands, especially smaller bands, up close and personal, the National is definitely a must-see. I also love the Triangle Theater downtown. It is an awesome place to see local artists perform. One of my past clients has her own Cabaret show and does a lot of acting there. It is just a small, awesome theater - a gem of Richmond. For Outdoorsy activities, I like Maymont and the Lewis Ginter Botanical Gardens. Those are just staples of Richmond I'd say. TH: What would be the best advice you would give to a first-time homebuyer? M: I'd say know your credit! Make sure you have good credit before you start. It's helpful because you can get a better loan that way as well. Save as much money as you can before buying a house. Ask questions and find a Realtor® that you like - interview them! A lot of people don't do that. Sometimes buyers will get a referral from somebody and feel like they have to use that Realtor® because the person they know used them. Then, through the process, they're not happy with them. So interview Realtors®, find a Realtor® you're comfortable with that communicates with you and is knowledgeable. Find out the good, the bad and the ugly about Zillow! It's helpful, but can be not helpful at times - but a good agent will be able to help you with that! TH: What would be the best advice you would give to a repeat homebuyer? M: Obviously, the same stuff as a first time home buyer. What's important for a repeat buyer is knowing what didn't work in your first house, or what's not working in your house now that's making you move, and to make sure those issues are solved in your next house. What's important to you location wise - is it more important for you to be closer to work, closer to social activities, closer to family, that kind of thing. Also know your finances and ask the right questions. A lot of times for a second move, people aren't sure how that works - how do you sell your house and buy another house at the same time - it's a juggling act! It's important to know if you need temporary housing, where are you going to go, how is my Realtor® going to help me with this, so ask those questions to a Realtor® before buying your second house!